Between the hills and the sea, Scotland's capital has one of the most beautiful settings in the world. 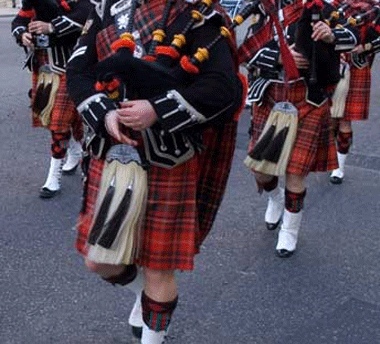 With streets steeped in history and a thriving cultural scene, Edinburgh offers the perfect balance between all things traditional and contemporary. 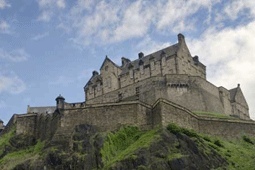 Add to this the features which have made Edinburgh famous - exquisite architecture, the dramatic thoroughfare of Prince's Street, the brooding castle in the sky or the renowned Royal Botanic Garden - and your trip to Edinburgh will be a jewel to treasure forever. 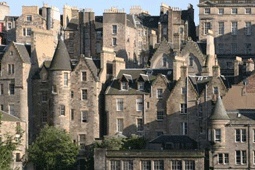 Edinburgh’s equivalent of Temple Bar is the Grassmarket and Cowgate area while Broughton Street is the main gay area in the city. No other city tells you its story in a more up-front fashion, but few other cities have as many secrets waiting, hidden, for those willing to take the time to turn off the high road, through a dark archway or down a hidden, cobbled street. Oloroso Bar & Restaurant, 33 Castle St, Edinburgh. This wonderful establishment occupies a key top floor corner site on Edinburgh’s bustling George Street. Due to its unique position, the large roof terrace provides stunning views across both the Firth of Forth and Edinburgh Castle. Le Sept, 5 Hunter Square, Edinburgh. A charming French Bistro right in the middle of Edinburgh, Le Sept has been in business for over 20 years. With a menu to suit all pockets, this restaurant is both sophisticated and informal, stylish and cosy. The Witchery by the Castle, Castle Hill, Royal Mile, Edinburgh. 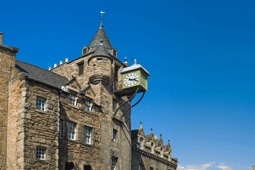 The Witchery is located at the very top of the Royal Mile close to the gates of Edinburgh Castle. The setting is rich, warm and atmospheric, the food is consistently good and, while you’re there, check out the guest book – you just might see a celebrity name. Reservations can be made at mail@thewitchery.com. 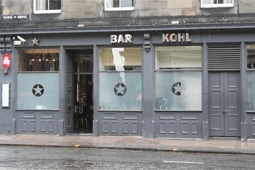 Bar Kohl, 54 George IV Bridge, Edinburgh. A vodka themed bar, you can get the odd beer here too. But do check out the chocolate fudge vodka, the strawberries and cream vodka or the fish and chips vodka. The Malt Shovel, 11 – 15 Cockburn Street, Edinburgh EH1 1BP. Well stocked with lots of whiskies and plenty of real ales, The Malt Shovel is popular with the after-work crowd, students and tourists alike. The Halfway House, 24 Fleshmarket Close, Edinburgh EH1 1BX. With specially selected beers from local breweries and a reasonable selection of malts, the Halfway House is a million miles from the Weatherspoons and Sam Smith drinking experience. Princes Street is the main shopping thoroughfare in Edinburgh where you can find the main department stores. 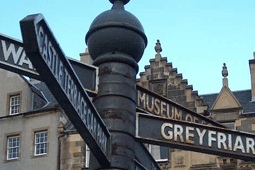 George Street is for the fashionistas, as it’s lined with chic clothes shops while the Royal Mile has everything from traditional Scottish woolen sweaters to woolen belly-button warmers! An express bus service - the Airlink 100 - operates frequently to Edinburgh city centre and takes about 25 minutes and terminates at Waverley Bridge near the main railway station. 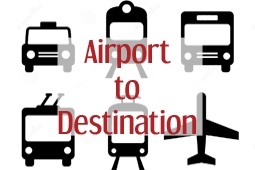 Alternatively you can hire a taxi to bring you right to the door of your hotel.